Farm management is a significant task for every farmer, if a farmer can focus on his core farming activities; productivity and output would be maximized. Jangolo Farms is an App that is shaping agricultural productivity in Cameroon. African Harvesters’ Agribusiness Conversations with Bertrand Foffe, CEO Jangolo Farms; a Cameroon AgriTech Startup that has grown to be the biggest online agricultural platform in Cameroon. According to Bertrand, farmers now have their Bookkeeping, logistic, sales, Funding, access to appropriate trainings, access to the market prices, access to the market sorted. 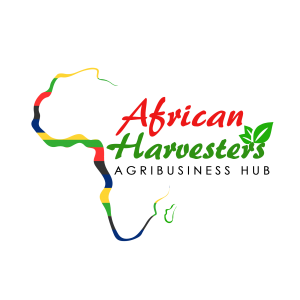 African Harvesters: Tell us about yourself and your Agribusiness? Bertrand Foffe: I’m Bertrand Foffe, 35 years old Cameroonian leaving in Eindhoven in The Netherlands. After closing my second company 10 years agoin Cameroon, I took the resolution to resume with my studies in Europe and get some international experience before coming back to Cameroon. After my Bachelor graduation in 2012 in the field of ICT, I started working as IT consultant in one of the biggest players in the field (Accenture). After some years in Europe and from my temporal trips back home in Cameroon, is kept reminding myself that my initial plan was to get experience abroad and get back home. Coming from a poor neighborhood in Cameroon, I always had in mind the responsibility to do something to improve people’s life in my city, my country and my continent. Since my 18 year old, I always carried with me a notebook where I kept notes of all the projects that came to my mind and that I tough could change the world. During my studies years here in Holland, I took some time to filter the best project that could have the most impact on middle and low classes in my country. This is how I ended up choosing the project that will become Jangolo. The main Idea was to find a way to improve farmers life in Africa with what I know the best : Technology. It took me 5 years to fine tune the idea and in 2015 i decided to take action and start something. In my situation : married, with kids, with a new job and no mean of finance, it was a bit a risky trip to start a venture like that in 2015, but my motivation was simply at the max and I couldn’t help it. So i decided to talk about the project to some of my relatives, cousins, uncles, friends, parents, sisters. I was lucky enough to find 6 of them that were positive about the idea. This is how we got initial funds to start the pilot poultry farm we started in May 2016. The pilot poultry farm allowed us to understand the challenges of farmers and based on those, we developed an application to manage poultry farms (www.farmer.cm). Also, understanding the challenges the farmer had to handle the distribution of its products, we created a web shop for chicken (www.jangolo.cm). Before the end of the year we were selected as finalist of the Pitch AgriHack organized by the CTA in Nairobi (http://pitch-agrihack.info/index.php/2016/10/27/finalists2016/). This nomination and our participation to the final round of the pitch made us understand the real challenges and the opportunities of the agricultural value chain. From our experience of the Pitch AgriHack, we made some adjustment on our business model and focus. Today we are the biggest online agricultural platform in Cameroon with more than 8000 actors of the agricultural value chain, this includes more than 6000 small and medium farmers and more than a thousand companies, suppliers and buyers. We consider ourselves as an ecosystem that empowers the value chain by providing information and services in a timely manner. AH: How is your business participating in the development of Food Security in Cameroon/Africa? BF: Two facts are at the base of our mission. Two, Between the farmer and the end user, in Cameroon we found an average of six middlemen. And the sad part of it was that more than 40% of the middlemen knew they were buying sometimes from the farmer at a price that is below his production cost. Based on these two facts, Jangolo Farms sees the need to take off the pain of the farmer for those activities and reduce to the minimum the number of middlemen. This is basically what we do. We offer a system that make it possible for a farmer to easily get in contact with all the stakeholders (Logistic companies, suppliers companies etc…) and we make sure they get the best deal and save the maximum of time. With the time saved, they can spend more time doing training to produce better quality food. We also put them in direct contact with buyers (B2B and B2C) to give them more option to choose from. We also provide them with the needs of the market, the crops that are in need in the close future, the varieties that most requested, the prices on the market etc…. As a result farmers are making 20% more profit and the end users are saving at least 10% from the price they use to pay. The profit made by farmers in this case allows them to plan the increase of the production in quality and quantity. AH: How has the AgriTech business entrepreneurial journey being? BF: Interesting , is the least I can say 🙂 . mostly tries and fails but we focus on the 5% of successes. In fact it is already challenging in our context in Cameroon to explain the vision that you have for a project that has no existing example. Also on the operational level it is a big challenge to find the right team to carry the project and even worst when you have to manage the project from abroad like in my case. In any case, i strongly believe that it’s part of entrepreneurship to see opportunity where others might see problems. AH: What are some of the challenges you face in your AgriTech business and how do you overcome those challenges? BF: In our case, we had challenges of many types, let me focus on two of them. On one hand you have the challenges related to starting an AgriTech business. In fact it is a huge challenge to make the first step from the idea to the actual project. The mistake that many of us (Young African entrepreneurs) do is postpone the implementation of our ideas until we have the “Perfect” strategy. Getting all the information needed (market research, trends, data on the value chain, etc…) to start an AgriTech venture can be really challenging. Finding the initial capital and setting a team is also part of the biggest challenges we faced in the beginning. All these challenges and the way we solved them have one lesson in common : Start with little steps and adjust your business on the fly. In fact we did not wait until we have all the information need to start the venture. From the big picture that we had of the project, we took the smallest possible unit we could start with and we got it off the ground. In our case it was the pilot farm. The rest of the story is simply a chain of events. From the lessons of the pilot farm we made a software, from the software we learned the challenges of the value chain, the that lesson we drop the production unit to focus on the ecosystem where we are now giving the best of our potential. Although the mission is still the same, the focus and the business model and strategy we have today is fare from the one we had in 2016. So the lesson from our experience is : work out the MVP (Minimum Viable Product) and get it on the market, and don’t be afraid to fails or to adjust initial plan. On the other hand you have the challenges related to finding the right business model and scaling up the company. In fact, not all the ideas are good ideas, and among the good ideas, not all of them are viable for a business. Finding the best combination can be big challenge. Only 5% of the ideas we drop on the table during our brainstorming sessions actually end up in production. It is therefore very important to define internal processes that allow the business to filter ideas where you want to spend resources on. For example we had a good set of exceptional functionalities of a great help to farmers but these were not affordable to our target farmers. We therefore decided to investigate on the ways to include into our ecosystem, stakeholders whose subscription to access to the ecosystem could balance the cost and make the functionality available to the farmers. Keeping the focus on your product costs and how you balance the costs is the key to find the best business model. AH: Where do you see Jangolo Farms in 5 years from now and what steps are you taking today to reach that objective? BF: Our platform is currently providing services to more than 8000 stakeholders. This performance is achieved during a period where we focused mainly on our home city, Douala. The pilot phase that ended on the 1st of January 2018 made us understand the local market and was the time for us to set a strong and scalable IT infrastructure. Now we are moving towards covering Cameroon before the end of the year and start with all french speaking African countries by Q1 2019. In five years time, we see Jangolo as one of the leading leading AgTech ecosystem in Africa with at least a million users. AH: What advice would you give to other entrepreneurs looking to launch an AgriTech solution or invest in African Agribusiness? One : Chose the one problem that you want to solve to start with, and preferably the one problem that you have the best skill sets to get off the ground. In fact trying to solve many problems from the beginning is not the most efficient way to start. Two : Leverage on existing solutions and make good partnerships. Entrepreneurship is a journey, you learn from you experience and from the experience of others.